Family owned and operated roofing replacement & repair and home improvement services firm based in Arlington, where our family has been for 35 years. 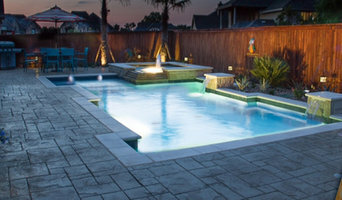 We provide service throughout Dallas/Fort Worth and North Texas. We are members of the North Texas Roofing Contractors Association (www.ntrca.com) We are insurance claims specialists: we work with most insurance companies following storms to quickly and professionally replace or repair the roof over your head. We work on homes, ranch homes, town houses and multi-family housing... as well as commercial buildings. Composition roofing, clay tile, TPO, torch-down, modified bitumen, slate, synthetic slate and more. We’re your local veteran owned source for wood, concrete, pavers, hardscapes, siding cleaning and protecting in and around Denton County. We also do epoxy garage floors and stain concrete! Our effective and environmentally friendly 3-step process lifts built-up outdoor dirt and grime to the surface and washes it away, leaving your outdoor living spaces not only clean but also protected. We specialize in helping those who are buying or building new homes in Dallas / Fort Worth confidently choose the best custom window coverings. At Made in the Shade Blinds & More of North Dallas / Fort Worth our goal is to offer you the best window covering products in the industry with exceptional service and competitive prices. We know there are many choices of window coverings in the Dallas / Fort Worth area and we make the shopping experience easy. The Made in the Shade advantage is that we bring the showroom to you with our shop-at-home convenience so you can find the perfect solution for your windows and more. At the initial consultation, our window covering designer acts as a detective, determining your likes, dislikes, privacy, lighting concerns, and many times addresses issues you haven't thought of yet. Then, translates these ideas into the perfect custom window treatments ideally suited for your home. In 1953, COLORTILE opened its first store in downtown Kankakee, Illinois. Calling it COLORTILE, the owners committed to operate under one guiding idea: to provide the best flooring products available with friendly, professional service. That commitment to quality hasn’t changed for over 60 years. Today, COLORTILE is the most recognized name in the flooring industry with stores located nationwide. In January of 1997, John MacCheyne signed on to become CarpetsPlus’ first member. Founded in the Fall of 1996, CarpetsPlus began with a philosophy that emphasized independent store ownership backed by the buying power of a national chain. Since then, CarpetsPlus has become the fastest growing flooring resource group in America, boasting a membership of more than 450 stores. In April of 2002, CarpetsPlus and COLORTILE merged to create a united family of retailers. Pairing the historic strength of COLORTILE with the national resources of CarpetsPlus has created a national chain of premier floor covering design centers. Transcending the typical retail flooring model, CarpetsPlus COLORTILE stores offer the most comprehensive product selection available with exemplary service and installation. We are a “one stop shop” for all the flooring needs of today’s consumer. Quality, service, honesty and integrity are our guiding principles. The values Color Tile held for over 60 years remain the same today for CarpetsPlus COLORTILE. We continually strive to offer the best value to our customers and our independent owners guarantee the best service available. We believe design is personal; your home or business is a reflection of you. It's not simply about building a room or collection of furnishings; it's about building relationships. We leverage our God given talents and organizational skills to create spaces to love and be loved in. 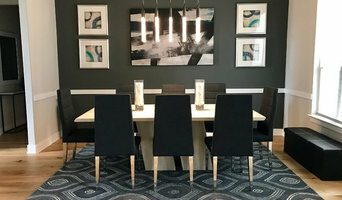 We renovate lives and connect our clients with top tier furniture and accessories. Our goal is to create a space that's uniquely yours! In 2006 Kay graduated with a Bachelor of Interior Design from Texas Tech University. Her first position out of school was working for Architecture Demarest. AD specializes in multi-family and student housing work. This position was an excellent foundation for understanding the built environment and engineering behind construction documents. While at AD she obtained her Texas (RID) and National (NCIDQ) licenses. After working at AD, she relocated to a position with Redstone Kitchens. Her work with Redstone allowed her to master kitchen design and material specifications while working directly with clients. A majority of 2015 was spent with extra freelance work for friends and referrals. It's this work that's led her to begin her own interior design firm full time. She looks forward to working with homeowners and architects in order to deliver new homes, existing home renovations and commercial spaces that fit the client's needs and personal style. But before you start sending out dozens of emails and making phone calls, sit down and think about your project. What's your budget? What is the scope of your project? 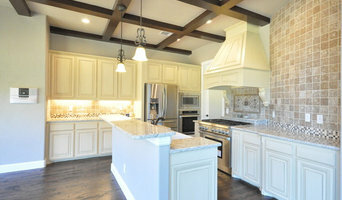 Will you need more than one type of professional to complete your home improvement project in Corinth, TX? Can you afford to complete the full project now, or should you tackle it bit by bit? Once you've settled on your project’s priorities, budget and scope, it's time to start researching Corinth, TX home design professionals. Don't sell yourself short and settle on the first professional you set your sights on. Make sure that you're working with someone local, who can get to the jobsite easily and efficiently. Look into the person’s reviews, ask to speak with former clients and to see previous jobs in person. Take a good look at their portfolio photos: How similar are these projects to your own? Be honest — that mansion might look beautiful, but it might not have a lot in common with your little bungalow. Reach out to multiple professionals — especially for larger projects — and don't settle for the first bid you hear. Comparing multiple Corinth, TX professionals' bids and experiences can help you find the one that’s best for you. Ask a lot of questions now, so you won't have unexpected answers later. Find a home design professional on Houzz. Narrow down your search by type of professional and location. 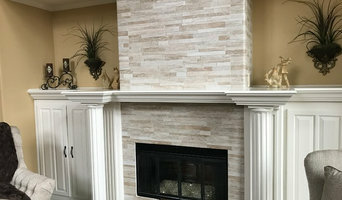 Browse Corinth, TX portfolio photos, read client reviews and contact each Corinth, TX professional for more information. Check out the information in the specialized professional sections too for tips on how to hire the right professional for your project.